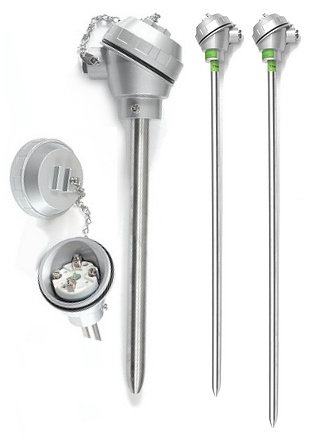 Heavy duty industrial thermocouples suitable for a wide range of industrial processes. Type K simplex thermocouple assembly comprising of a 3mm diameter mineral insulated inner thermocouple, in an Inconel 600 outer sheath, 15.9mm (5/8") in diameter and choice of lengths below a weather-proof head. The head is IP68 rated, with a M20 cable entry and ceramic spring loaded terminal block, ensuring good contact between the tip of the thermocouple and bottom of the outer sheath. Manufactured from Class 1 Accuracy Tolerance thermocouple material.